The vibrant waters off the coast of the Yucatan Peninsula are perfect for enjoying some of the very finest deep sea fishing on Earth. Our expert bilingual charter captains have the familiarity with the local waters to ensure that you enjoy a successful expedition in the Caribbean Sea. Depart from the docks in one of our magnificent charter boats that are all completely customized for the perfect deep sea fishing trip. 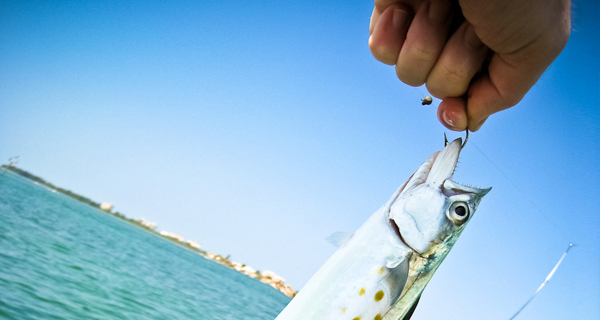 There's nothing more relaxing than a half-day or full-day fishing excursion on the Caribbean. 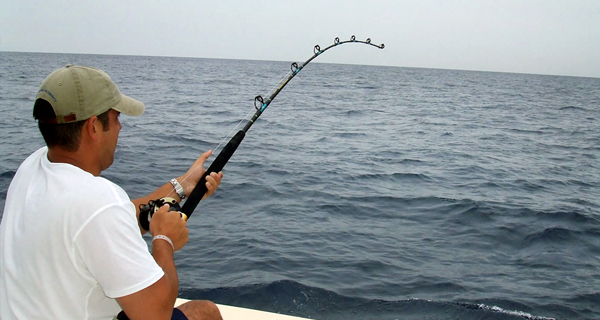 The docks of Cancun, Playa del Carmen, Cozumel, and Riviera Maya are located just a short way from the Great Meso-American Reef and teeming deep water that is ideal for deepwater trolling for an array of sport fish. The deeper currents of the Gulf Stream draw an ample amount of deepwater pelagic fish close to the reef in order to hunt for the many feeder fish that inhabit this region. Species like kingfish, wahoo, grouper, snapper, tuna, Dorado, barracuda, and billfish (including sailfish and marlin), can be caught off the shores of the Mexican Caribbean, depending on the time of year. The deepwater ledge beyond the massive reef system is the perfect area for trolling for prized pelagic species. 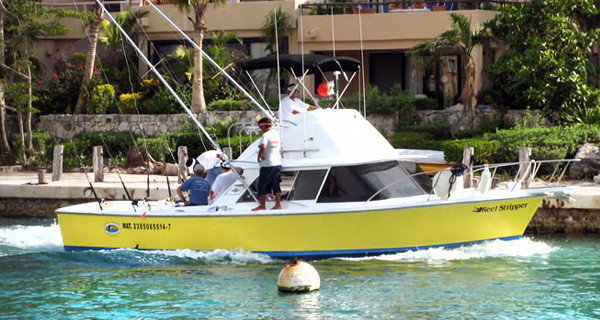 If you're visiting Cancun, Playa Del Carmen, the Mayan Riviera, or Cozumel, our professional English-fluent fishing guides will provide you with the most entertaining and successful deep sea charter available. We have a well-appointed fleet of charter craft, including an array of sizes, to fit your excursion needs. 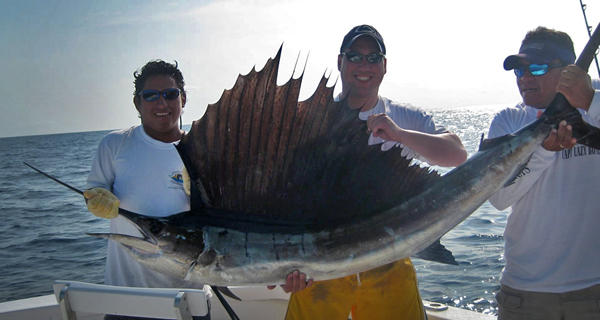 Share a charter with five other anglers as you go sport fishing in the waters off the shore of Cancun, Mexico. 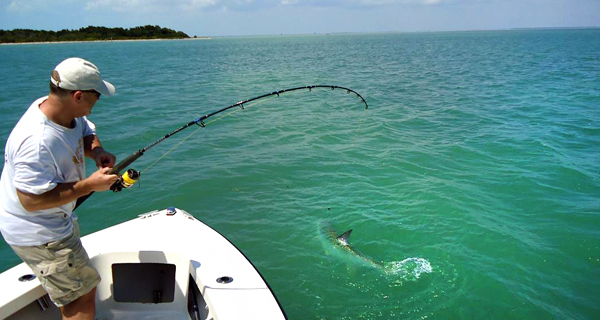 Among the most popular destinations for sport fishing in the world, the unique conditions around Cancun make for an excellent angling experience. Join our savvy charter captain on a fantastic offshore excursion in the abundant waters off the coast of Cancun. 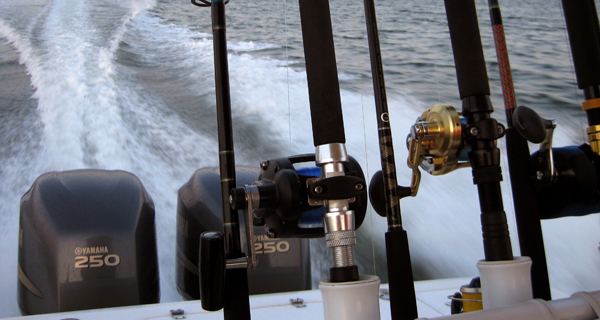 The proximity to the deep currents of the Gulf Stream makes this region an excellent place for deep sea fishing. 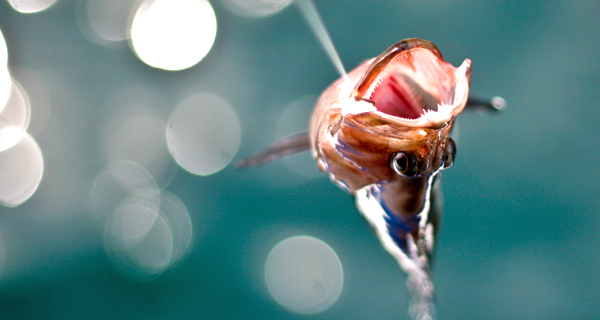 Depending on the season, you can fish for marlin, dorado, tuna, wahoo, sailfish, and more. Whether its fishing, cruising, or a romantic dinner at sea, the Querida Del Mar and its crew is the charter that will make it happen! This luxurious 46-foot yacht is equipped with all fishing needs, amenities, and comfort you could ask for. The Top Gun, our splendid 38-foot Hatteras Sport-fisher, will convey you in style to the excellent fishing waters of the region. You and your private party of up to 10 guests will appreciate the knowledge and professionalism of the Top Gun's crew. 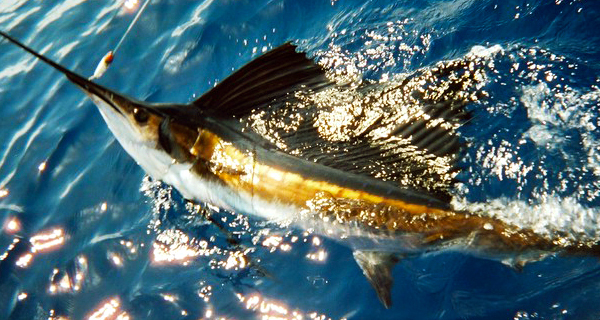 The warm deep currents that flow along the Yucatan coast brings legions of prized billfish, tuna, and mahi mahi into the region during the spring and summer months. Join the crew of the thirty-six-foot Sea Phantom for a trip into these teeming waters. 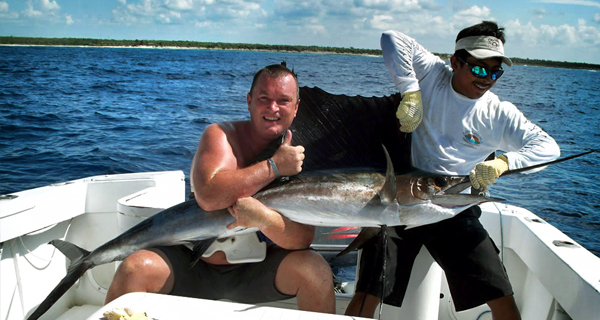 There's no better feeling than battling a trophy fish in the gorgeous Caribbean waters in the Mexican Caribbean. Join our professional skipper for an excellent off-shore adventure aboard our 35-foot Intimidator. The 42-foot Sakitumi is the latest addition to our splendid fleet of charter vessels. 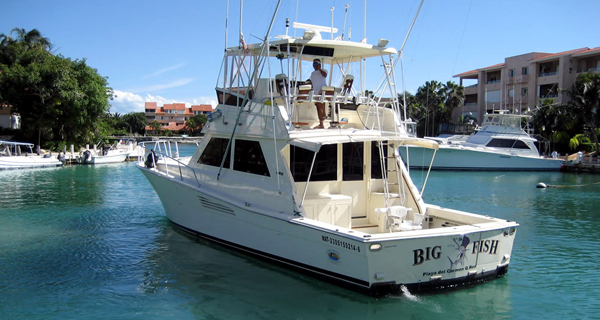 This fully-equipped Hatteras can handle a private party of eleven anglers for a fun-filled excursion on the Caribbean. This sleek modern vessel, the Manetto, will transport you and up to nine friends on a private fishing cruise on the abundant waters of the western Caribbean Sea. 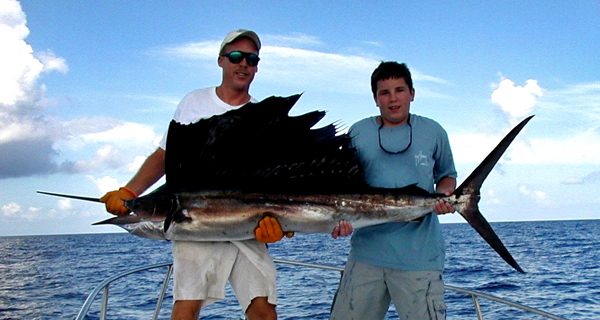 You don't want to miss your chance to hook a score of excellent game fish on your vacation. Join our English-fluent charter skipper for an unforgettable fishing trip on the fabulous waters of the Caribbean on board the Puffin, a thirty-one foot Bertram Sport-fisher. 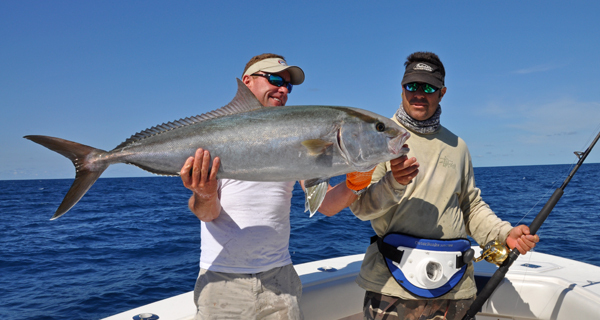 The vibrant tropical waters of this region are populated with an assortment of game fish. Patrons who have booked this fantastic private charter boat know that has earned its named. 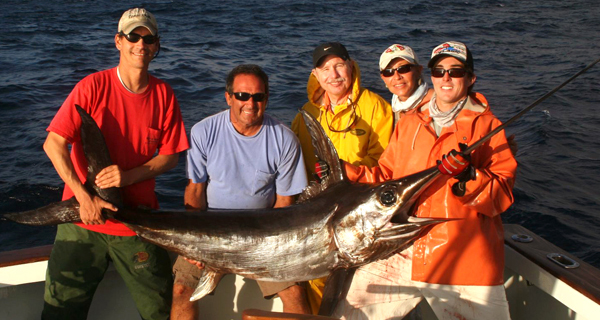 You and your fishing party will be screaming for joy as you reel in monster off-shore species like marlin, wahoo, tuna and dorado. If your obsession is hooking a trophy off-shore fish, be sure to join our highly experienced skipper aboard his 35-foot Luhrs vessel. My Obsession is a gorgeous vessel outfitted with all the amenities. Join our charter professionals aboard one of the largest vessels in our fleet of charter crafts, the Finatik. This 46-and-a-half-foot Bertram Sportfisher can accommodate up to 12 anglers on a private expedition into the teeming waters of the Caribbean. The Big Fish is the most spacious and opulent craft in our expansive fleet of outstanding charter vessels. Cruise the Caribbean waters in private luxury aboard this 48-foot Viking Sportfishing Cruiser with our accommodating English-fluent captain and crew. If you'd like an economical off-shore adventure, Captain Rick's shared charter aboard a 31-foot Bertram Sportfisher is an excellent option. 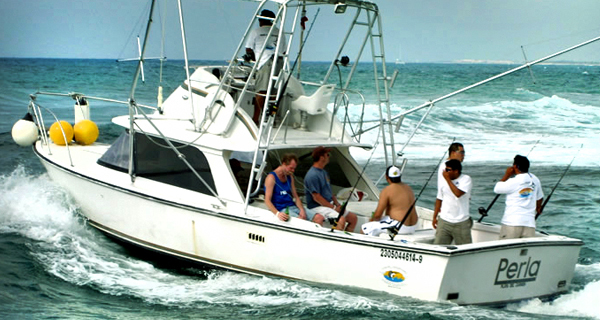 A shared charter is a great way to meet new friends while chasing trophy fish off the coast of the Yucatan Peninsula. 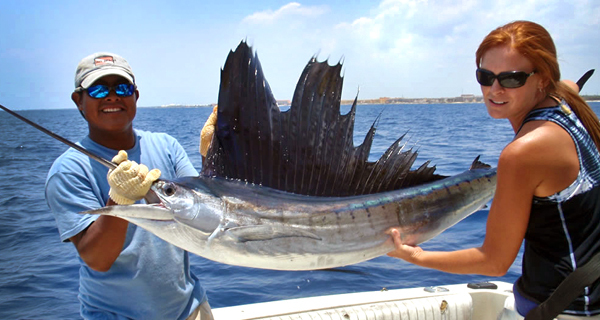 After hooking that trophy marlin in the bountiful deep-water channels of the western Caribbean, you may think that your private charter captain possess magical powers, but his success at finding the best fishing spots won't be a result of supernatural forces, just experience. 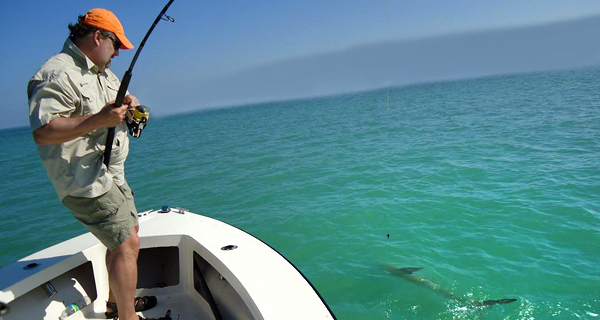 The teeming waters of the western Caribbean Sea offer fishing enthusiasts a great place to enjoy their pastime. Join our veteran English-speaking charter crew aboard the thirty-one-foot Reel Stripper, a spacious Bertram Sportfisher. 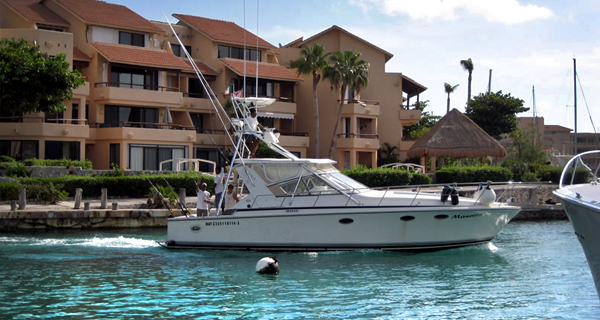 You are in for a wild time in the fantastic waters off the Yucatan Peninsula aboard this trim 31-foot Priority. 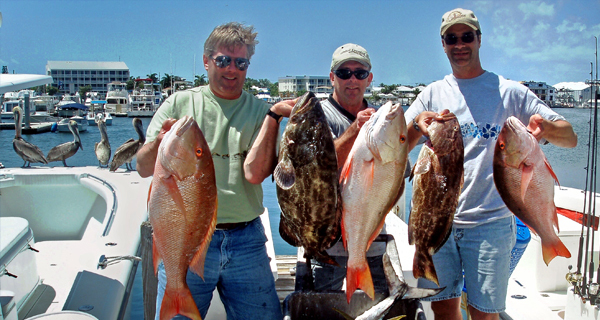 Your private party of up to eight anglers can enjoy an incredible off-shore excursion.